Turn the humble cardboard box into a walking advertisement for your company with our transit box branding service. 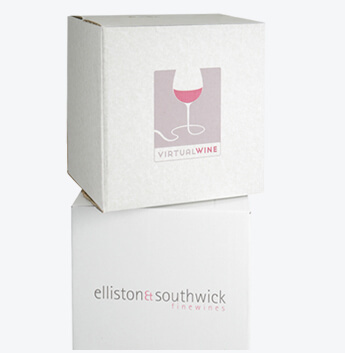 All our cardboard boxes can be personalised as each shipping box, no matter the size, can be printed with a name or logo. It's an affordable way of promoting your business wherever the package may go. Printing custom cardboard boxes with your logo is simple at WBC. With minimum runs of just 1000 units and a fast turnaround of 15 days, get in touch to start personalising your packaging today. Choose a transit box from our extensive range of transit boxes including our popular mailsafe boxes for bottles.